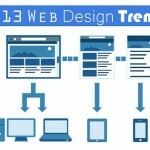 Many designers today are using different styles to create some stunning web designs. Despite being confined to the Internet some website designs reflect the woody designs. In today’s post I would like to share with you some really amazing examples of websites that have been inspired by wood. These sites all bring a sense of warm and personal feeling when viewing them. I have assembled a collection of 20 wooden inspired Themed Web Designs or a hand drawn illustration. I hope these sites will inspire you to create your own creations. Enjoy! You May Like This Responsive Websites Designs, Depth Perception Web Designs, Typeface Web Design, Handwriting Web Designs. These collection of wooden theme designs look pretty good. I liked the design of brown blog films. Great stuff, I like the Slabovia theme the most, it really blends well with every element.